Our church has done a large work in the country of Latvia and we have always been blessed with great guest speakers, worshipers and new relationships. Bill Johnson – senior Pastor of “Bethel” Church in Redding, USA. Joakim Lundqvist – senior Pastor of “Word of Life” Church in Uppsala, Sweden. Igor Nikitin – President of “Trinity Broadcasting Network” Russia. Pawel Godawa – senior Pastor of “Water of Life” Church in Koszalin, Poland. Guy Peh – world renowned missionary evangelist from Dallas, USA. Over the last few decades, we have welcomed many ministers from all over the world. Here are just a few more of them: Peter Daniel (Australia), Kris Valloton (USA), Vjaceslav Goncarenko (Belarus), Todd Bentley (Canada), Carl Gustav Severin (Sweden), Simon Potter (UK), Albert Turnpu (Estonia, Israel), Mieke Vandenberghe (Belgium), Rolf Auke (Norway) etc. Israel Houghton & New Breed. American Grammy Award-winning Christian music artist, worship leader and singer-songwriter. Perhaps best known for his worship songs “Friend of God”, “Victors Crown”, “You are Good”, “Jesus at the Center”. Delirious? English contemporary Christian band. They are perhaps best known for their worship songs “Rain Down”, “Majesty”, “I Could Sing of Your Love Forever”. 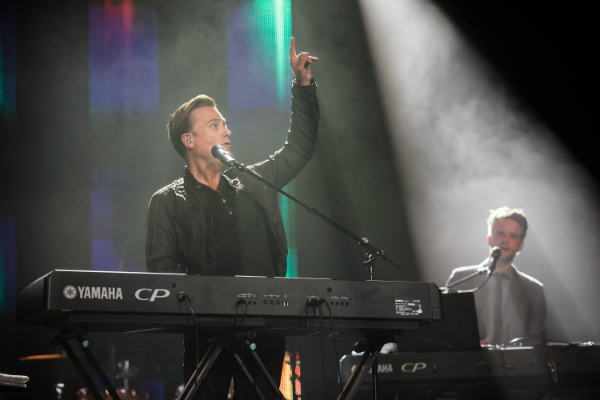 Michael W. Smith – American contemporary Christian musician, three-time Grammy Award winner, an American Music Award recipient. In 2014 he was honored as “cornerstone of Christian music” by ASCAP. Perhaps best known for his worship songs “Heart of Worship”, “Healing Rain”, “Holy, Holy”, “Our God is an Awesome God”. Over the last few decades, we have welcomed many worshipers and bands from all over the world. Here are just a few more of them: Rebeca St. James (USA), Limor Shapira (Israel), Viktor Klimenko (Finland), Rebecca Kontus (Estonia), Valdis Indrosonoks (Latvia) etc.